Exeter (/ˈɛksɪtər/ ( listen)) is a cathedral city in Devon, England, with a population of 129,800 (mid-2016 EST). The city is located on the River Exe approximately 36 miles (58 km) northeast of Plymouth and 65 miles (105 km) southwest of Bristol. It is the county town of Devon, and the base of Devon County Council. Also situated in Exeter are two campuses of the University of Exeter - Streatham Campus and St Luke's Campus. 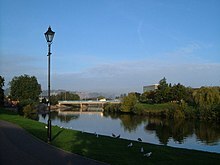 The modern name of Exeter is a development of the Old English Escanceaster, from the anglicised form of the river now known as the Exe and the Old English suffix -ceaster, used to mark important fortresses or fortified towns. (The Welsh name for the city, Caerwysg, similarly means "fortress on the Exe".) The name "Exe" is a separate development of the Brittonic name—meaning "water" or, more exactly, "full of fish" (cf. Welsh pysg, pl. "fish")—that also appears in the English Axe and Esk and the Welsh Usk (Welsh: Wysg). The Romans established a 42-acre (17 ha) 'playing-card' shaped (rectangle with round corners and two short and two long sides) fort (Latin: castrum) named Isca around AD 55. The fort was the southwest terminus of the Fosse Way (Route 15 of the Antonine Itinerary) and served as the base of the 5 000-man Second Augustan Legion (Legio II Augusta) originally led by Vespasian, later Roman Emperor, for the next 20 years before they moved to Caerleon in Wales, which was also known as Isca. To distinguish the two, the Romans also referred to Exeter as Isca Dumnoniorum, "Watertown of the Dumnonii", and Caerleon as Isca Augusta. 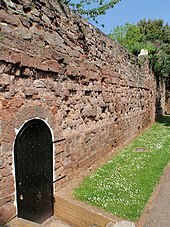 A small fort was also maintained at Topsham; a supply depot on the route between the two was excavated at St Loyes on Topsham Road in 2010. The presence of the fort built up an unplanned civilian community (vicus or canabae) of natives and the soldiers' families, mostly to the northeast of the fort. This settlement served as the tribal capital (civitas) of the Dumnonii and was listed as one of their four cities (Greek: poleis) by Ptolemy in his Geography (it also appeared in the 7th-century Ravenna Cosmography, where it appears as an apparently confused entry for Scadu Namorum). When the fortress was abandoned around the year 75, its grounds were converted to civilian purposes: its very large bathhouse was demolished to make way for a forum and a basilica, and a smaller-scale bath was erected to the southeast. This area was excavated in the 1970s, but could not be maintained for public view owing to its proximity to the present-day cathedral. In January 2015, it was announced that Exeter Cathedral had launched a bid to restore the baths and open an underground centre for visitors. Bishop Ussher identified the Cair Pensa vel Coyt listed among the 28 cities of Britain by the History of the Britons as Isca, although David Nash Ford read it as a reference to Penselwood and thought it more likely to be Lindinis (modern Ilchester). Nothing is certainly known of Exeter from the time of the Roman withdrawal from Britain around the year 410 until the seventh century. By that time, the city was held by the Saxons, who had arrived in Exeter after defeating the British Dumnonians at Peonnum in Somerset in 658. It seems likely that the Saxons maintained a quarter of the city for the Britons under their own laws around present-day Bartholomew Street, which was known as "Britayne" Street until 1637 in memory of its former occupants. 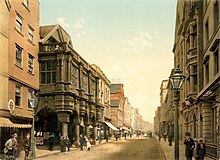 Prior to the expulsion of the Jews of England in 1290, Exeter was home to England's most westerly Jewish community. In 1537, the city was made a county corporate. In 1549, the city successfully withstood a month-long siege by the so-called Prayer Book rebels: Devon and Cornish folk who had been infuriated by the radical religious policies of King Edward VI. 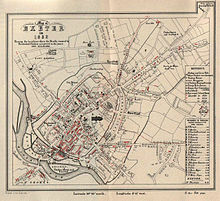 The insurgents occupied the suburbs of Exeter, burnt down two of the city gates and attempted to undermine the city walls, but were eventually forced to abandon the siege after they had been worsted in a series of bloody battles with the king's army. A number of rebels were executed in the immediate aftermath of the siege. The Livery Dole almshouses and chapel at Heavitree were founded in March 1591 and finished in 1594. Exeter was secured for Parliament at the beginning of the English Civil War, and its defences very much strengthened, but in September 1643 it was captured by the Cornish Royalist Army led by Prince Maurice. Thereafter, the city remained firmly under the king's control until near the end of the war, being one of the final Royalist cities to fall into Parliamentarian hands. The surrender of Exeter was negotiated in April 1646 at Poltimore House by Thomas Fairfax. During this period, Exeter was an economically powerful city, with a strong trade of wool. This was partly due to the surrounding area which was "more fertile and better inhabited than that passed over the preceding day" according to Count Lorenzo Magalotti who visited the city when he was 26 years old. Magalotti writes of over thirty thousand people being employed in the county of Devon as part of the wool and cloth industries, merchandise that was sold to "the West Indies, Spain, France and Italy". Celia Fiennes also visited Exeter during this period, in the early 1700s. She remarked on the "vast trade" and "incredible quantity" in Exeter, recording that "it turns the most money in a week of anything in England", between £10,000 and £15,000. Exeter was bombed by the German Luftwaffe in the Second World War, when a total of 18 raids between 1940 and 1942 flattened much of the city centre. Between April 1941 and April 1943 Exeter was defended from enemy bombers by the Polish 307 Squadron, night-fighters nicknamed the 'Lwów Eagle Owls' who were based at Exeter Airport. The city of Lwów shared the same motto as the city of Exeter - 'Semper Fidelis'. In April and May 1942, as part of the Baedeker Blitz and specifically in response to the RAF bombing of Lübeck and Rostock, 40 acres (16 ha) of the city, particularly adjacent to its central High Street and Sidwell Street, were levelled by incendiary bombing. Many historic buildings in the heart of the city were destroyed and others, including the Cathedral, were damaged. On the night of 4 May the only hope that Exeter had to avoid total destruction was the heavily outnumbered Polish 307 Squadron which had four available aircraft against the forty German Junkers-88 bombers. During the next 75 minutes the squadron prevented four German bombers releasing their load of bombs on Exeter. The squadron suffered no casualties in the process. 156 people were killed in the attacks,however a lot more people in Exeter would have been killed, and the effect on the city much greater had it not been for the ‘Lwów Eagle Owls’. To demonstrate British-Polish cooperation and the friendship that had formed between 307 Squadron and Exeter, the squadron presented the city with a Polish flag on 15 November 1942 (the first British city to have had that honour) outside Exeter Cathedral. Since 2012 a Polish flag is raised over the city's Guildhall on 15 November in honor of 307 Squadron, the day is now known as '307 Squadron Day' in Exeter. On 15 November 2017 a plaque in memory of the squadron was unveiled in the St James Chapel of Exeter Cathedral by the Polish Ambassador His Excellency Arkady Rzegocki. A £30 million improvement scheme for the flood defences was approved in March 2015. The plans involve the removal of check weirs and a deeper, "meandering stream" in the centre of the drainage channels to improve flow. The plans followed a study by the Environment Agency that revealed weaknesses in the current defences. A community currency for the city, the Exeter Pound, was introduced in 2015 and dissolved in 2018. A serious fire broke out in buildings in central Exeter on 28 October 2016. The fire largely damaged the Royal Clarence Hotel, considered the first venue in England to call itself a hotel. Other historic buildings, including 18 Cathedral Yard and The Well House Tavern, were also severely damaged. All of the damaged buildings are currently undergoing a major restoration. On 22 February 2017 archaeologists involved in the restoration and repair works of The Royal Clarence Hotel, 18 Cathedral Yard, and The Well House Tavern Pub unearthed medieval pictures, including one of a peacock. The work which had taken three months to complete the process of the deconstruction of the buildings, with every effort being made to save as many historical features as possible. It will take a total of 21 months to restore the façade external of the buildings and a modern design planned for their interiors of the hotel and 18 Cathedral Yard. On 25 July 2017 the official restoration plans of how the repaired and restored buildings will look once completed, were officially unveiled to the public for the exterior frontal façade of the buildings. Further plans were still underway for the interior of the hotel and surrounding buildings the restoration and repair works are being undertaken by construction consultants Thomasons, in partnership with Manchester architects Buttress, Historic England and Exeter City Council. The rebuild is expected to be completed in 18 months time with a scheduled reopening of the hotel in 2019. Exeter is in two parliamentary constituencies, the majority of the city is in the Exeter constituency but two wards (St Loyes and Topsham) are in East Devon. Exeter itself is relatively marginal, and since World War II its Member of Parliament has usually been drawn from the governing party, though the Exeter seat is becoming increasingly a Labour stronghold. The Exeter MP is Ben Bradshaw and Hugo Swire represents East Devon. 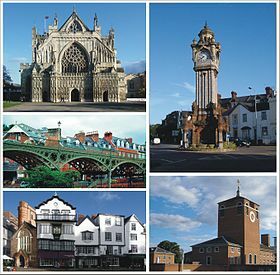 Exeter is part of the South West England European constituency, which elects 6 MEPs. Exeter's city council is a district authority, and shares responsibility for local government with the Devon County Council. In May 2012 Labour became the majority party on the council. 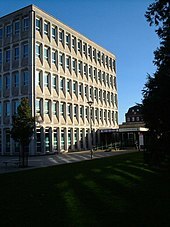 Exeter City Council's bid for the city to become a Unitary Authority was initially approved by ministers in February 2010. A judicial review was called by Devon County Council and the Court held that the Minister had acted unlawfully in granting Unitary status to Exeter at the same time, however, following the 2010 general election the new coalition government announced in May 2010 that the reorganisation would be blocked. From Saxon times, it was in the hundred of Wonford. 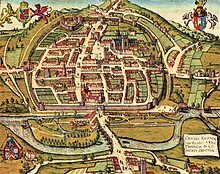 Exeter has had a mayor since at least 1207 and until 2002, the city was the oldest 'Right Worshipful' Mayoralty in England. As part of the Golden Jubilee of Elizabeth II Exeter was chosen to receive the title of Lord Mayor. Councillor Granville Baldwin became the first Lord Mayor of Exeter on 1 May 2002 when Letters Patent were awarded to the city during a visit by the Queen. The Lord Mayor is elected each year from amongst the 39 Exeter city councillors and is non-political for the term of office. Policing in Exeter is provided by the Devon and Cornwall Constabulary who have their headquarters at Middlemoor in the east of the city. Exeter is 80 miles (130 km) west-southwest of Salisbury, 158 miles (254 km) west-southwest of London, 18 miles (29 km) north of Torquay, 36 miles (58 km) northeast of Plymouth and 74 miles (119 km) east-northeast of Truro. In 2011, the City of Exeter had a population of 117,773, while its inner urban subdivision had a population of 113,507. The Exeter USD does not include the outlying suburb of Topsham, which while it is administratively part of the city, it is often considered a separate individual settlement as well as the fact its excluded from the city's constituency. The Exeter Urban Area had a population of 124,079 in 2014, compared with 124,328 for the city and borough of Exeter. While the Exeter Metropolitan Area had a population of 467,257 in the same year and includes Exeter along with Teignbridge, Mid Devon and East Devon. Out of all the Devon districts, Exeter receives the largest number of commuters from East Devon, followed by Teignbridge. Most of the city's ethnic minority population live in the central, north western and eastern suburbs of the city. Outlying areas such as Pinhoe, Cowick and the expensive suburb of Topsham are all 95% White British as of 2011. The city centre provides substantial shopping facilities. The High Street is mainly devoted to branches of national chains: a NEF survey in 2005 rated Exeter as the worst example of a clone town in the UK, with only a single independent store in the city's High Street, and less diversity (in terms of different categories of shop) than any other town surveyed. In 2010, a similar survey reported the city was still the worst clone town. Three significant shopping areas that connect to the High Street provide a somewhat more varied menu. Princesshay, a post-war retail area connecting to the south side of the High Street was home to a number of independent stores prior to redevelopment in 2007, but is now also largely occupied by national chains. It is still intended that a number of the new units will be let to local independent stores. On the other side of the High Street, the partly undercover Guildhall Shopping Centre houses a mixture of national and more regional shops, and connects to the wholly enclosed Harlequins Centre where smaller businesses predominate. Smaller streets off the High Street such as Gandy Street also offer a range of independent shops. There are also plans to build on land in the Teignbridge and East Devon areas, which border Exeter's boundaries, as part of the "Exeter Growth Point" strategy, which includes the new town of Cranbrook located about 5 miles the east of the city in East Devon where construction began in 2011 and is now home to several thousand residents. St Thomas' Church, originally built in the 13th century just outside the city walls. Destroyed by fire and rebuilt in the 17th century; grade I listed. The ruins of Rougemont Castle, built soon after the Norman Conquest; later parts of the castle were still in use as a County Court until early 2006 when a new Crown Courts building opened. A plaque near the ruined Norman gatehouse recalls the fate of Alice Molland, tried for witchcraft at Exeter in 1685, and reputedly the last person in England to have been executed for that crime; others convicted of witchcraft had been hanged in Exeter in 1581, 1610, and 1682. Located just outside the castle, Northernhay Gardens is the oldest public open space in England, being originally laid out in 1612 as a pleasure walk for Exeter residents. Exeter is considered to be a rail hub within the south-west and is linked to most branch lines in Devon, including to Paignton, Exmouth, Barnstaple and Okehampton (by a special service). This makes it possible to reach most stations in Devon directly from Exeter St Davids, although only during the summer months. Exeter Airport lies east of the city, and the local airline, previously called Jersey European and British European but now known as Flybe, is a significant local employer. It is also a base for Thomson Airways with flights to Faro, Mallorca, Lanzarote and elsewhere. The airport offers a range of scheduled flights to British and Irish regional airports and charter flights. Connections to international hubs began with Paris-Charles de Gaulle in 2005 and later a daily service to Amsterdam Schiphol Airport. The University of Exeter has two campuses in the city, both notable for their attractive parkland. It is one of the largest employers in the city. 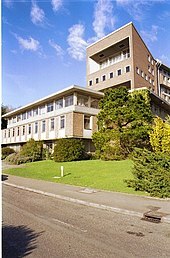 Exeter is one of the four main sites of the University of Plymouth. St Loye's School of Health Studies, which provides training in occupational therapy, has now been incorporated into the University of Plymouth. 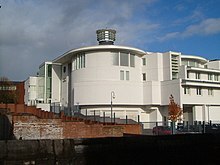 The university includes the Business School, the Bill Douglas Cinema Museum, the Henry Wellcome building for Biocatalysis, and, as of September 2018, the Exeter Centre for Circular Economy. For about 30 years the city of Exeter operated a maintained school system in which the divisions between phases came at different ages from most of the United Kingdom, with first, middle and high rather than infant, junior and secondary schools, so that children transferred between schools at the age of about 8 and 12 rather than 7 and 11. From 2005, however, it has adopted the more usual pattern, because of the pressures of the UK National Curriculum. The changeover back to the more typical structure led to a citywide, PFI funded, rebuilding programme for the high schools and led to the changing of names for some schools. Following the reorganisation there are 25 primary schools, four referral schools, three special schools and five secondary schools within Exeter. The secondary schools are Isca Academy (formerly Priory High School), St James School (formerly St James High School), St Luke's Science and Sports College (formerly Vincent Thompson High School), St Peter's Church of England Aided School (a consolidation of the former Bishop Blackall High School for Girls and Heles High School for Boys), and West Exe School (formerly St Thomas High School). Numerous churches, and other religious buildings, are present in Exeter. Of which a majority belong to differing Christian denominations, with the exemption of an Anglican cathedral. Exeter Cathedral is the seat of the Bishop of Exeter. The erection of the present building was completed in approximately 1400, and possesses the longest uninterrupted vaulted ceiling in England, as well as other noticeable characteristics. A collective of Anglican churches form the Exeter Deanery. On the other hand, the Catholic community of Exeter occupy two Churches, the Sacred Heart and the Blessed Sacrament, with congregations reflecting the nature of older and more recent immigration. Exeter Synagogue, located within a near proximity to Mary Arches Street, was completely erected in 1763. Exeter's mosque and Islamic centre are located on York Road. The purpose-built mosque opened in 2011. 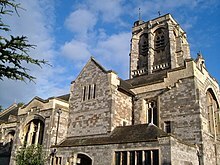 At the 2001 census, 69.12% of Exeter's population stated their religion as Christian, which is mildly lower than the regional average of 73.99% and the national average of 71.74%. Despite this, all other religions had exceeded the regional average at just under 1%. Although, they were much lower than the national average with the exemption of Buddhism. 20.45% of Exeter's population stated they had no religion, which was higher than the regional average of 16.75% and the national average of 14.59%. John Betjeman (writing in 1958) selects St David's ("Caroe's best church"), St Martin's ("characteristic little city church, 15th century"), St Mary Steps ("medieval city church; font"), St Michael's ("Victorian, on a fine site"), and St Thomas's ("fittings"). His coverage of St Mary Arches is more detailed: "worth seeing ... as the completest Norman church in Devon: beautifully light and airy after its restoration from the bombing in 1942. 18th-century altar arrangements. Memorials to Exeter worthies, 16th to 18th centuries." The aforementioned collective of Anglican churches include St David's Church, located near to St. David's Station. The church was envisaged by W. D. Caroe, with the windows being manufactured by Kempe & Tower, and was later constructed between 1897 and 1900. A tower stands on the northeast side, with the overall design being described as “highly picturesque by Nikolaus Pevsner. St Edmund-on-the-Bridge was built on the Exe Bridge ca. 1230–40. Two arches of the bridge remain under the undercroft though the church was rebuilt in the Perpendicular style in 1835, using the old materials. The rugby union team Exeter Chiefs play their home games at Sandy Park stadium, located adjacent to junction 30 of the M5, and frequently achieve attendances of over 11,000 spectators. Sandy Park was constructed in September 2006 and cost £15 million. Exeter Chiefs relocated there from their previous stadium at the County Ground which had been used continually from 1905. Exeter Chiefs achieved promotion in the 2009–10 season following concessive victories against Bristol and have since remained within the highest division of English rugby, the Aviva Premiership. In the 2011–12 season of the Aviva Premiership, Exeter Chiefs finished in fifth place, earning a spot in the Heineken Cup. Exeter Chiefs won their first piece of silverware when they defeated Northampton 15-8 at Sandy Park in the 2014 LV Cup final. Furthermore, Exeter Chiefs were crowned English champions in 2017, after defeating Wasps RFC in the Aviva Premiership final at Twickenham. The city also has two other clubs: Wessex Rugby Club, which is located in Exwick, and Exeter Saracens Rugby Club, which is located in Whipton. Exeter City is Exeter's predominant Professional Association football club. They play their home games at St James Park, where they have remained since they were established in 1904. Originally, St James Park was a field used for fattening pigs. A redevelopment scheme was introduced in 2017, due to finish the year after, apparently providing a vastly increased fan experience. Exeter City F.C became founder members of the Football League's new Third Division (south) in 1920, but have never progressed beyond the third tier of the English football league system. In 2003, Exeter City F.C were relegated to the Conference before reclaiming their Football League place in 2008 and achieving successive promotions to League One in 2009. However, Exeter City F.C were relegated to League Two at the end of the 2011/12 season. Exeter Cricket Club administer three teams that play in the Devon Cricket League. The first of which plays in the Premier Division at first XI level and the next plays at second XI level. Exeter Cricket Club play their home games at Country Ground where they have remained for a period exceeding 180 years. Exeter Rowing Club enjoys an extraordinarily large amount of success both locally and nationally, and has a recorded history originating in the early 19th century. The City of Exeter Rowing Regatta is run annually in July, and is the eldest and largest regatta in the South West, with racing first recorded on the river in the 1860s. The Devon & Exeter Squash club is one of the most active squash clubs in the region, annually hosting the Exeter Diamonds. A collective of world class players. Moreover, Devon and Exeter Squash Club has a strong membership, exacting standards and a notable junior team. Exeter's speedway team, Exeter Falcons, was established in 1929 and were located at the County Ground until its permanent closure in 2005. In a fixture during the 2004 season, they defeated Rye House by the maximum score of 75–15. At the site, Exeter Falcons member Jack Geran trained younger members in the art of the shale sport on a speedway training track in the late 1970s and early-1980s. Speedway was also staged briefly at tracks in Alphington and Peamore after the Second World War. The history of Speedway in Exeter up to the mid-1950s has been recorded in three books by Tony Lethbridge. The Exeter Book, an anthology of Anglo Saxon poetry, is conserved in the vaults of Exeter Cathedral. The Exeter Book originates from the 10th century and is one of four manuscripts that between them encompass all surviving poetry composed in Old English. Predominantly, the Book incorporates shorter poems, several religious pieces, and a series of riddles, a handful of which are famously lewd. A selection of the aforementioned riddles are inscribed on a highly polished steel obelisk situated in High Street, placed there on 30 March 2005. Another famous piece of literature is the Exon Domesday, a composite land and tax register of 1086. The piece contains a variety of administrative materials concerning the counties of Cornwall, Devon, Dorset, Somerset and Wiltshire. This piece is also conserved in Exeter Cathedral. Numerous theatres occupy Exeter. One of which is the Northcott Theatre. The Northcott Theatre is situated in the Streatham campus of the University of Exeter and is one of relatively few provincial English theatres to maintain its own repertory company. This theatre is the successor to the former Theatre Royal, Exeter which was permanently closed in 1962. Another popular theatre in Exeter is the Barnfield Theatre. Originally, the building was constructed as Barnfield Hall by Exeter Literary Society towards the end of the 19th century and converted in 1972. Currently, the theatre is a charity and is used as a venue for amateur and professional theatrical companies. The Cygnet Theatre in Friars Walk is the home of the Cygnet Training Theatre and is a member of the Conference of Drama Schools. As well as performances given by students in training, this theatre also stages performances from visiting repertory companies and has a good reputation for quality events. The Bike Shed Theatre and Cocktail Bar opened in September 2010 before permanently closing in March 2018. 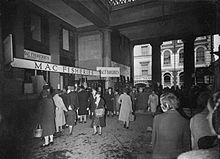 The Theatre was forced to close after failing to generate enough profit from the cocktail bar in order to operate the theatre. Fundamentally, the theatre offered intimate live music and performances and operated from basement premises in Fore Street. Additionally, more innovative and contemporary performances, theatrical productions and dance pieces are programmed by Exeter Phoenix in Exeter City Centre and The Exeter Corn Exchange in Market Street. There are two festivals each year, of all the arts but with a particular concentration of musical events: the annual "Vibraphonic" festival, held in March provides a fortnight of soul, blues, jazz, funk, reggae and electronic music. The largest orchestra based in Exeter is the EMG Symphony Orchestra which frequently presents concerts at the University of Exeter and at Exeter Cathedral. The Royal Albert Memorial Museum in Queen Street is Exeter's predominant museum. The museum maintains its own collections of regional, national and international importance. Recently, the museum underwent an extensive refurbishment. It reopened on 14 December 2011, and was subsequently awarded the National Art Fund Prize – UK Museum of the Year 2012. The Museum also runs St Nicholas Priory in Mint Lane, near Fore Street. Additionally, the University of Exeter has an extensive fine art collection and an assortment of exhibition spaces across its Streatham campus. Showing a vibrant programme of exhibitions, performances, films and visual arts. The sculpture collection contains works by artists including Barbara Hepworth, Peter Thursby, Geoffrey Clark and Elaine M. Goodwin. It can be located using the Sculpture Trail. Exeter Phoenix is one of South West England's leading contemporary arts venues. The venue occupies the former university site in Gandy Street and programmes international, national and outstanding regional artists. Spacex (art gallery), a contemporary arts organisation, programmes exhibitions of contemporary art and promotes artist-led projects, events and research. Express and Echo, twice-weekly with a Monday and Thursday edition. Exeter Flying Post, published weekly. Originally discontinued in 1917, but was revived in 1976 as an alternative community magazine. The Western Morning News, a Plymouth printed daily regional paper. Exeposé, the University's student newspaper, printed fortnightly. BBC Radio Devon broadcasts to Exeter locally on FM (95.8) and AM (990 AM/MW), although the majority of programming originates in Plymouth. In the evenings, BBC Radio Devon joins the South West Regional service. Heart South West, formerly Gemini FM and Devonair, broadcasts on 97.0 FM, with East Devon and Torbay utilising their own frequencies. Both Heart South West and BBC Devon broadcast from the St. Thomas transmitter. AM radio is broadcast from Pearce's Hill located at J31 of the M5. Other radio stations include Exeter FM, an easy listening station broadcasting on 107.3 FM, Phonic.FM which provides a "no adverts no playlist" alternative on 106.8 FM or online at www.phonic.fm, VI, a station broadcasting from the West of England School and College on 1386 AM/MW. Additionally, Exeter University has a well established student station, Xpression FM, which broadcasts on 87.7 FM using two low-powered transmitters, although it can be heard over much of the north of the city. The local commercial radio station is Radio Exe. The local community radio station is Phonic FM. Both BBC Spotlight and ITV Westcountry provide Exeter with regional news outputs. BBC Spotlight is broadcast from Plymouth and ITV Westcountry is broadcast from Bristol. Although, both services do have newsrooms in Exeter. The St Thomas and Stockland Hill transmitting station both provide the city's coverage with both transmitters having completed the digital switchover. ^ a b c d "Ethnic Group, 2011". Office for National Statistics. 30 January 2013. Retrieved 18 July 2013. ^ a b Eilert Ekwall (1981). The Concise Oxford Dictionary of English Place-names. Oxford University Press. p. 171. ISBN 0-19-869103-3. ^ Eilert Ekwall (1981). The Concise Oxford Dictionary of English Place-names. Oxford [Eng. ]: OUP. p. 171. ISBN 0-19-869103-3. ^ Hoskins (2004), pp. 4–5. ^ Hoskins (2004), p. 1. ^ a b Bidwell, Paul T. Roman Exeter: Fortress and Town, p. 56. Exeter City Council (Exeter), 1980. ISBN 0-86114-270-5. ^ "The Celtic Tribes of Britain: The Dumnonii". Roman Britain Organisation. Retrieved 5 July 2012. ^ "isca dvmnoniorvm". Roman Britain Organisation. Archived from the original on 12 May 2012. Retrieved 5 July 2012. ^ "Great Sites: Exeter Roman Baths". British Archaeology magazine. June 2002. Retrieved 12 July 2008. ^ "The Roman Fortress at Exeter: the Roman Bath House". Archived from the original on 4 June 2008. Retrieved 12 July 2008. ^ Jones, Claire (16 January 2015). "Excavation plans for Exeter's Roman Baths". BBC. ^ Bidwell (1980), p. 59. ^ Bidwell (1980), pp. 69–76 & 80. ^ Hoskins, William George. Two Thousand Years in Exeter, rev. ed., p. 14. Phillimore (Chicester), 2004. ISBN 1-86077-303-6. ^ Sellman (1985), p. 16. ^ Hoskins (2004), pp. 15–16. ^ Hoskins (2004), p. 159. ^ a b c d Hoskins (2004), p. 23. ^ a b Sellman (1985), p. 17. ^ Higham (2008), p. 47. ^ Higham (2008), p. 19. ^ Hoskins (2004), pp. 26–27. ^ Hoskins (2004), pp. 31–32. ^ "Danes Castle". Exeter Memories. 4 November 2009. Retrieved 16 September 2012. ^ "The Exe Bridge, Exeter". Devon County Council. Retrieved 30 August 2014. ^ Letters, Samantha. "Online Gazetteer of Markets and Fairs in England & Wales to 1516: Devon". Centre for Metropolitan History, Institute of Historical Research. Retrieved 26 July 2009. ^ "The Jewish Community of Exeter". The Museum of the Jewish People at Beit Hatfutsot. ^ Stoyle, Mark (2014). Water in the City: The Aqueducts and Underground Passages of Exeter. Exeter: University of Exeter Press. pp. passim. ISBN 9780859898775. ^ Stoyle, Mark (2003). Circled with Stone: Exeter's City Walls, 1485-1660. Exeter: University of Exeter Press. pp. 78–80, 190–91. ISBN 9780859897273. ^ "Exeter's Coat of Arms". Exeter City Council website. Archived from the original on 13 February 2008. Retrieved 13 July 2008. ^ "Exeter - Its History". American Independence Museum. Retrieved 23 March 2015. ^ Stoyle, Mark (1996). From Deliverance to Destruction: Rebellion and Civil War in an English City. Exeter: University of Exeter Press. pp. 62–108. ISBN 9780859894784. ^ Hoskins, W.G. (2003). Devon. Phillimore and Co. pp. 196–198. ISBN 978-1-86077-270-2. ^ Oliver, George (1861). History of the City of Exeter. p. 107. ISBN 0-217-79997-3. ^ a b "History of the Exe Bridges". Exeter Memories. Retrieved 15 September 2012. ^ Shapter, Thomas (1848). The History of the Cholera in Exeter 1832. ISBN 0-85409-674-4. ^ Neville, Julia (2010). Exeter and the Trams 1882–1931. Exeter Civic Society. p. 27. ISBN 978-0-9544343-1-1. ^ Neville, Julia (2010). Exeter and the Trams 1882–1931. Exeter Civic Society. pp. 18–19. ISBN 978-0-9544343-1-1. ^ Neville, Julia (2010). Exeter and the Trams 1882–1931. Exeter Civic Society. p. 30. ISBN 978-0-9544343-1-1. ^ Neville, Julia (2010). Exeter and the Trams 1882–1931. Exeter Civic Society. pp. 86–89. ISBN 978-0-9544343-1-1. ^ Neville, Julia (2010). Exeter and the Trams 1882–1931. Exeter Civic Society. pp. 76–78. ISBN 978-0-9544343-1-1. ^ Neville, Julia (2010). Exeter and the Trams 1882–1931. Exeter Civic Society. pp. 104–124. ISBN 978-0-9544343-1-1. ^ Payne, John (2011). The West Country: A Cultural History. Andrews UK Limited. p. 176. ISBN 978-1-908-49350-7. ^ "The Exeter floods of the 1960s". Exeter Memories. 28 October 2010. Retrieved 15 September 2012. ^ "Doors open at Princesshay". BBC Devon. 20 September 2007. Retrieved 21 September 2007. ^ "Heaven for shoppers as Princesshay gets off to a flying start with huge crowds for opening day". Express & Echo. 21 September 2007. Retrieved 21 September 2007. ^ "High Street revamp plans criticised". BBC News Online. 4 March 2003. Retrieved 21 September 2007. ^ "Key facts about Princesshay". Princesshay.com. Land Securities Group. Retrieved 21 September 2007. ^ "Shopmobility". Exeter Community Transport Association. Retrieved 13 July 2008. ^ "Nail-bomber given life sentence". BBC News Online. 30 January 2009. Retrieved 15 September 2012. 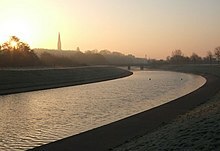 ^ "Exeter flood defence scheme". ^ "Exeter Pound: City launches its own currency". BBC News. 1 September 2015. ^ "Home Page - Exeter Pound". www.exeterpound.org.uk. Retrieved 6 December 2018. ^ "Royal Clarance Hotel could reopen in 21 months". Devon Live. 22 February 2017. Retrieved 30 March 2018. ^ "Fire-hit 'oldest hotel in England' restoration unveiled". BBC News. 25 July 2017. Retrieved 30 March 2018. ^ "The Royal Clarence Hotel reveals plans for restoration after last year's fire". Boutique Hotelier. 26 July 2017. Retrieved 30 March 2018. ^ "The Coalition: our programme for government" (PDF). HM Government, United Kingdom. 20 May 2010. Archived from the original (PDF) on 12 June 2011. Retrieved 24 May 2010. ^ Hennessy, Patrick (22 May 2010). "The Queen's Speech: Bill by Bill". The Daily Telegraph. Retrieved 24 May 2010. ^ Oliver, George (1861). History of the City of Exeter. p. 1. ISBN 0-217-79997-3. ^ DEFRA. "Southwest EDRP Geographical Area and Physical Context". Retrieved 13 July 2008. ^ "June 1976". Retrieved 5 March 2016. ^ "December 2010". Retrieved 5 March 2016. ^ "Exeter 1981–2010 averages". Met Office. Retrieved 4 November 2012. ^ "South West England climate". Met Office. Retrieved 16 January 2019. ^ "Exeter extreme values". KNMI. Retrieved 8 November 2011. ^ "Key Figures for 2011 Census: Key Statistics". Office for National Statistics. Retrieved 18 July 2013. ^ "Key Figures for 2001 Census: Key Statistics". Census 2001. The Office for National Statistics. Retrieved 19 July 2013. ^ "Ethnic Group, 2001". Office for National Statistics. 9 November 2004. Retrieved 19 July 2013. ^ "Official Labour Market Statistics". nomisweb.co.uk. ^ "Neighbourhood Statistics". neighbourhood.statistics.gov.uk. 14 April 2008. ^ "United Kingdom: Urban Areas in England - Population Statistics in Maps and Charts". ^ "What is the Exeter Travel to Work Area? - Exeter City Futures". 1 November 2016. ^ "Exeter commuters". Exeter City Council. Retrieved 1 June 2011. ^ "EHOD population" (PDF). Exeter City Council. Retrieved 1 February 2009. ^ "Traders hit back after 'clone town' attack". Western Morning News. 15 September 2010. Retrieved 15 August 2016. ^ "Fairtrade - Exeter City Council". www.exeter.gov.uk. Retrieved 15 April 2019. ^ "Exeter Growth Point". Devon County Council. 1 January 2011. Retrieved 1 January 2011. ^ "Cranbrook Plan". East Devon. Retrieved 10 April 2019. ^ "Cranbrook - Exeter and East Devon Growth Point". www.exeterandeastdevon.gov.uk. Retrieved 10 April 2019. ^ Historic England. "Church of St Thomas (1169954)". National Heritage List for England. Retrieved 4 January 2019. ^ Stoyle, Mark (April 2011). "It is but an old wytche gonne': Prosecution and Execution for Witchcraft in Exeter, 1558-1610". History. 96 (2): 129–51. ^ Sharpe, James (1996). Instruments of Darkness: Witchcraft in England, 1550-1750. London: Hamish Hamilton. p. 121. ^ See for example: Hele's School Historical Society. (1947). Exeter – Then and Now. A. Wheaton & Co. p. 31. ^ Historic England. "Guard House and attached wall Wyvern Barracks (1109979)". National Heritage List for England. Retrieved 18 April 2014. ^ "The Higher Barracks, or Cavalry Barracks - Howell Road". Exeter memories. Retrieved 9 November 2014. ^ Historic England. "Devon County War Memorial and Processional Way (1393228)". National Heritage List for England. Retrieved 6 February 2016. ^ "The changing face of Bridge Road in Exeter". Devon County Council. 24 March 2016. Retrieved 15 August 2016. ^ "Drivers facing congestion charge". BBC News. 7 November 2006. Retrieved 13 July 2008. ^ "UK storms destroy railway line and leave thousands without power". BBC Online. Retrieved 5 February 2014. ^ Clew, Kenneth R. (1984). The Exeter Canal. Chichester: Phillimore. ISBN 0-85033-544-2. ^ "Schools, locations and details". Devon County Council website. Retrieved 19 July 2008. ^ "Religion". United Kingdom Census 2001. Office for National Statistics. 1 April 2001. Retrieved 11 January 2009. ^ a b "Exeter Chiefs – History". Retrieved 9 March 2013. ^ Osborne, Chris (16 March 2014). "Cup final: Exeter Chiefs 15-8 Northampton Saints". BBC. ^ Law, James (27 May 2017). "Premiership final: Wasps 20-23 Exeter Chiefs (aet)". BBC. ^ "Exeter Saracens Rugby Football Club Website". Retrieved 19 July 2008. 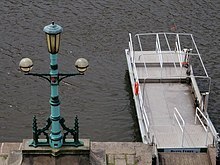 ^ "History – Exeter Rowing Club". Retrieved 15 September 2012. ^ "About the regatta". Retrieved 15 September 2012. ^ "BBC - Devon Features". www.bbc.co.uk. Retrieved 15 March 2018. ^ "Vibraphonic 2011 website". Vibraphonic 2011 Festival website. ^ "EMG Symphony Orchestra website". Retrieved 19 July 2008. ^ "Royal Albert Memorial Museum". RAM Museum Website. Gray, Todd (2000). Exeter: The Traveller's Tales. Exeter: The Mint Press. ISBN 1-903356-00-8. Higham, Robert (2008). Making Anglo-Saxon Devon. Exeter: The Mint Press. ISBN 978-1-903356-57-9. Hoskins, W. G. (2004). Two Thousand Years in Exeter (Revised and updated ed.). Chichester: Phillimore. p. 23. ISBN 1-86077-303-6. Sellman, R.R. (1985). Aspects of Devon History (New ed.). Exeter: Devon Books. ISBN 0-86114-756-1. Sharp, Thomas (1946). Exeter Phoenix: A Plan for Rebuilding. London: The Architectural Press. Stoyle, Mark (2003). Circled With Stone: Exeter's City Walls, 1485–1660. Exeter: University of Exeter Press. ISBN 978-0-85989-727-3. Stoyle, Mark (1996). From Deliverance to Destruction: Rebellion and Civil War in an English City. Exeter: University of Exeter Press. ISBN 978-0-85989-478-4. Stoyle, Mark (2014). Water in the City: The Aqueducts and Underground Passages of Exeter. Exeter: University of Exeter Press. ISBN 978-0-85989-877-5.